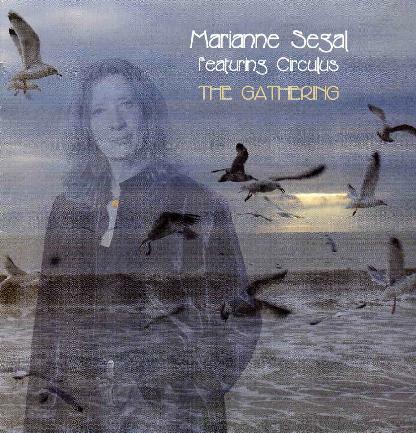 Marianne Segal is best known for her work with Jade. Here she has teamed up with Circulus main man, Mr. Tyack, and some of his gang of odd fellows as well as Firebird guitarist, Bill Steer. Marriane not only sings but also plays acoustic guitar. September Song begins the CD. A very happy and cheerful folk track with some really nice guitar and vocals. Lapis Wings featured some nice piano playing and strings. The lyrics tell really wonderful stories as well. Circle round the Sun has a really nice bass groove and a totally different uptempo track. Bill Steer even adds some harmonica! Saints on Tapestry features some beautiful violin playing to compliment Marriane’s wonderful singing in this track. Bill Steer also plays a really nice guitar solo and Will from Circulus adds some great flute accents as well. Root People is probably my favorite song on the CD despite the quite simple lyrics but it just has a really cool groove with Jew’s harp, a cool synthesizer line and some great lead guitar by Bill. Cool song. Kicking up the Sands of Time is a beautiful track with really nice delay guitar, bass and voice and small amount of drums. Sussex Downs seems like a quite personal song. The CD ends with Dreamers and this features the sound engineer Ian on mellotron. I should mention that there are 4 small pieces called Little Lucy Vignette that break up the CD throughout. Anyway... a wonderful CD and nice collaboration with a lot of great musicians.